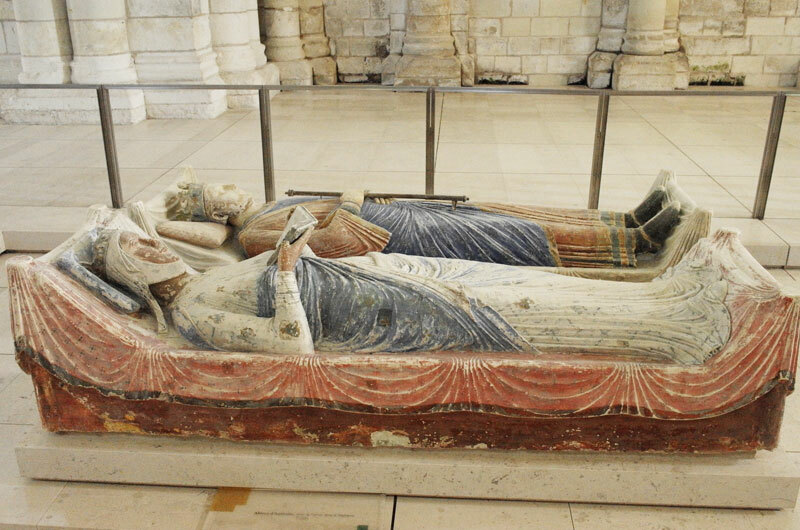 Visit to Fontrevaud Abbey in the Loire valley with the tombs of Eleanor of Aquitaine, husband Henry II and their son Richard the Lionheart. Eleanor was exceptionally well educated and became the most powerful female figure of mediaeval Europe. Henry II, from whom she was eventually estranged, introduced the Common Law in England and fought for much of his reign to maintain their empire.